Sweet potatoes aren’t really potatoes, but they are one of the most widespread and important vegetable crops in the world. With their nutrient-dense qualities, they are a delicious example of food as medicine! The history of sweet potatoes goes back thousands of years and is filled with controversy and intrigue. Sweet potatoes originated in South America as many as 800,000 years ago! In the 1500s, European explorers brought the plant both to West Africa and Europe. It was largely assumed that this was the first time sweet potatoes had left the South American continent. But when Captain James Cook arrived in the Polynesian Islands in the 18th century, the sweet potato was already being abundantly cultivated. For many years the sweet potato was offered as evidence of Polynesian and South American pre-Columbian contact. But a DNA study published earlier this year calls that into question. Although similar in appearance, sweet potatoes (Ipomoea batatas) aren’t closely related to russet potatoes (Solanum tuberosum). Sweet potatoes are actually more closely related to morning glories, as they are in the same family, Convolvulaceae, while potatoes are in the nightshade family or Solanaceae. People who are sensitive to the nightshade family can eat sweet potatoes in place of potatoes. Yams and sweet potatoes are also not closely related, although there is a lot of confusion around this as many sweet potatoes are commonly mislabeled as yams. While there are many different types of sweet potatoes worldwide, two distinct species are commonly found in grocery stores. One has a firmer texture and golden skin and pale flesh. The other has a softer texture when cooked and a darker red/brown skin with orange flesh. Sometimes grocery stores label the lighter variety as sweet potatoes and the orange-fleshed variety as yams. However, true yams aren’t sweet potatoes! Yams are a tuberous vegetable that originated in Asia and Africa. They are much drier and starchier than sweet potatoes. Although they are becoming more common in specialty and international stores, they aren’t nearly as readily found in grocery stores. The botanical name for yams is Dioscorea alata. Although they are sweet and starchy, sweet potatoes have a low glycemic index and are well tolerated by people with insulin resistance and type 2 diabetes. To get the most nutrients when eating sweet potatoes, steam them instead of boil them, and eat the skins of organic sweet potatoes.3 Non-organic sweet potatoes may be treated with dyes or waxes. In regards to pies, historically sweet potatoes were more popular in the South where they were easier to grow, whereas pumpkins were more acclimated and popular in the northern climates. I’ve recently learned that people have very strong feelings when it comes to pumpkin versus sweet potato pie! Just this week we were planning our Thanksgiving menu and it was quickly apparent that having one or the other just wouldn’t do! Rest assured, both will be gracing our table. For the past handful of years, our farming friends have been growing abundant crops of sweet potatoes in their green house. While normally better suited to a warmer climate, they’ve created the perfect conditions for these sweet orange vegetables and, as a result, we have had a generous amount to last us through the winter. At first we kept our recipes on the savory side and tried our best to prove that you can’t ever eat too many sweet potato fries. And while we still haven’t found the upper limit on fries, we also decided to branch out and began making sweet potato pie. We perfected this recipe throughout last winter, bringing updated versions to potlucks where they were devoured with smiles. Sweet potatoes and sweet potato fries are a delicious food that deserve more than just a holiday showcase! Look for the creamy orange-fleshed sweet potato variety for this recipe. Practically any pie shell of your choosing will work here, from homemade pastry pie doughs to store-bought pie shells to graham cracker pie crusts. For this version, we made a gluten-free almond flour pie shell. Begin by boiling or steaming the whole sweet potatoes until soft, about 45 minutes. While the potatoes are cooking, you can make the crust (see our recipe below). When the sweet potatoes are done, run them under cold water until they can be handled by hand. Remove the skin. In a large bowl, mix together the cooked sweet potatoes with the melted butter, honey, coconut milk, eggs, nutmeg, cinnamon, ginger, and vanilla. Mix until smooth. Pour the sweet potato filling into the prepared pie crust and bake for 70 minutes. When done, the pie will still be a little jiggly. Let it cool completely before serving and serve with optional whipped cream. Whisk together the almond flour, salt, cinnamon, and nutmeg in a medium bowl. In a small bowl, mix together the melted butter, egg and honey. Pour the liquid mixture into the dry mixture and stir until well combined. Press the dough in a 9-inch pie plate with your hands, then use the back of a large, wet spoon to smooth it out evenly. Nut-based crusts tend to brown much more readily than those made with other flours, so do not spread the dough onto the rim. Are you also obsessed with sweet potato fries? Do you prefer sweet potato pie over pumpkin pie? I’d love to hear how you are using this golden vegetable! This looks delicious, Rosalee! I will add this to my must-try list. I always add turmeric and a little bit of white pepper into these autumn-spiced treats because it blends well with the other spices and amps up the color a little bit. And my picky family never notices that I’ve added something “healthy” to the mix. Thanks for this recipe, it looks lovely! I tend to find pumpkins flavorless i have to go to other Cucurbitaceae to be satisfied, like butternut squash. But my love for either Squash or Sweet Potato know no bounds. Will definitely try! I had done a similar version with Hubbard squash methinks…But theses foods with spices are just meant to be! Thank you for the recipe. I like both sweet potato and pumpkin pies, I’ll definitely try your recipe. This sounds absolutely terrific; however, I will need our help, advice, and expertise before making this because I am gluten intolerant, allergic to almonds, cashews, and all legumes — in addition to eggs. Basically, I need to know what sorts of options I have for flour or flour combinations and proportions, as well as which of the numerous egg substitutes you would recommend. Hi Ruth. My son and I are both gluten intolerant, more of a sensitivity, tho. However, we both do fine with sourdough bread – real sourdough bread from a bakery. Have you tried that? Ruth, I’ve found that we can bake the pie parts of these recipes without the crust in custard cups. That helps with the grain and nut flours, but not the eggs. Perhaps you would like to bake the sweet potatoes, melt butter and add all the delicious spices, remove the skins of the sweet potatoes and spread the butter mixture over them. Smash them up a bit and that would be a delicious treat, as well! Considering that you have many food restrictions you might consider using resources designed with this in mind. There are many websites and cookbooks out there that have tips/techniques/methods for working with various food substitutes. For example sometimes flax can be used in place of eggs. This isn’t something I’m an expert in so I’m unable to provide the many substitutions you are requesting. I just made a vegan pumpkin pie, using 3/4-C of firm tofu, all blended in a cuisinart. It was divine. Similar crust, no egg needed as a binder either. You can not tell a vegan pie from a traditional one, my husband (not vegan) can attest. Hi Ruth, I often use sunflower seed flour instead of almond flour, made by whizzing sunflower seeds in a food processor or high-speed blender (just don’t process it too long, or it will turn to sunflower butter). I love anything sweet potato. 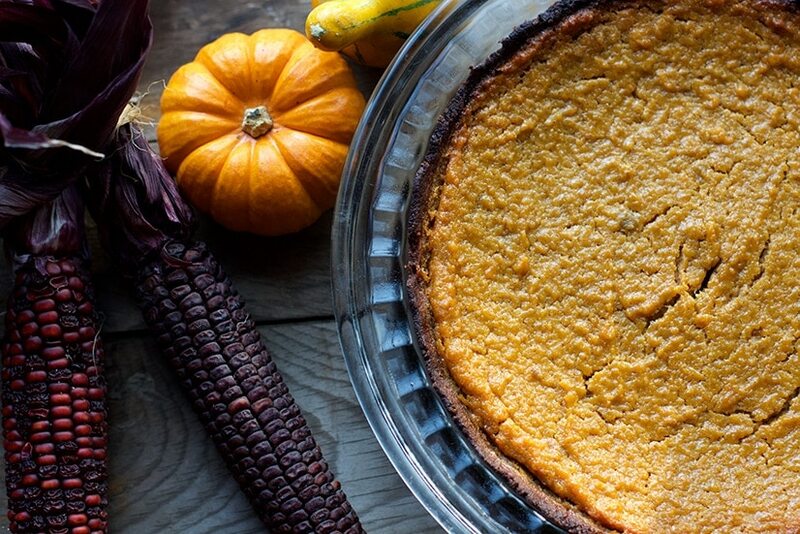 I grew up having sweet potato pie for Thanksgiving — didn’t know anyone who ate pumpkin pie. That was something I observed only on TV. However, in my 20s, I tried pumpkin pie for the first time and loved it. But my heart still belongs to the sweet potato. Thank you for this recipe. Can’t wait to make it. You could try milk or another milk substitute. It should work but I’ve only made it with coconut milk. I love sweet potato chips. I also melt butter and suger till light brown. Add the diced or sliced sweet potato, put some water in and a pinch of salt. It’s really nice and you can add cinnamon too if you like. Here’s an article I recently wrote answering that question. what do you think of stevia instead of honey? I’m sorry but I don’t know if that would work or how to go about making that substitute. love the recipe, thank you, I would like to know the cal content, as I am not depriving myself of good healthy food, just watching how many cals I consume. We don’t provide calorie contents for our recipes but you can do a search for a recipe calorie counter/analyzer to figure out the amount. These are handy tools that you can use to figure out the calorie content of any recipe you come across. There is a restaurant in Nashville called Calypso Cafe. Not fancy, serves Caribbean-influenced food. I do my sweet potatoes like theirs, which i think are cooked, then mashed with a good dose of spices, cinnamon, clove, nutmeg, maybe mace, some brown sugar (I often omit the sugar), butter (which you could leave out if desired), and coconut shreds. Yum! Sometimes I chunk the sweet potatoes into maybe 4 pieces & put them in the crock pot for convenience. Can you bake the pie crust without filling and use it for unbaked pies? If so at what temp and for how long? Nut crusts burn very easily and are generally not cooked prior to using. 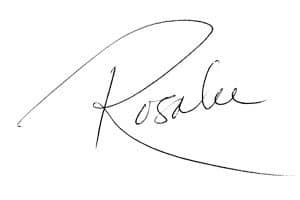 Hello Rosalee :) Is there a substitution for the butter in the recipe? I cannot eat dairy. Thank you! You could try using a cooking oil. I haven’t tried that so I can’t comment with my experiences. We always had pumpkin growing up; I didn’t even taste fresh sweet potatoes until after I grew up. Now I love all things sweet potato (except the candied with marshmallow casseroles). Sweet potato pie may be just a bit tastier than pumpkin because of the lovely carmelization you can get when you bake the sweet potatoes, but I honestly don’t taste it through the spices. We made sweet potato bread, substituting them for bananas. It was very good and so easy to make. I’ve made fries, too, and Love them!